Habaneros... persons born in Havana... who grew up before the Revolution will tell you that they were known for their work ethic. 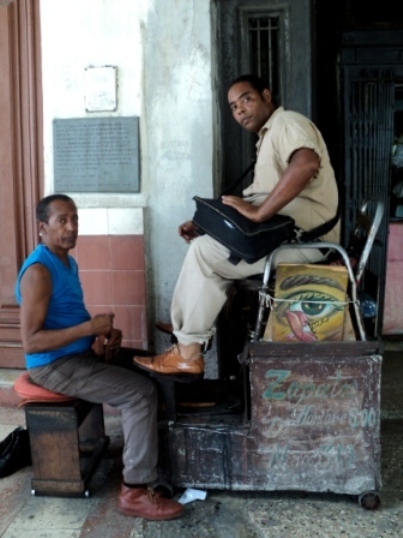 Cubans loved to establish entrepreneurial businesses and they worked hard to make them a success. Today such opportunities are largely gone. Every government job pays more or less the same, around $18 US each month. Only doctors and police earn more, about $25 a month. 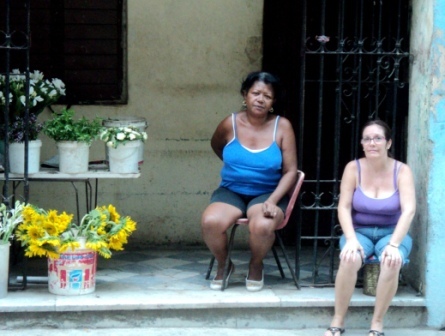 The result of this pay scale is that most Cubans must find a second job to support their family. You can get a license and pay the government a large fee each month. This allows you to do such things as repair jewelry or sell pork sandwiches from a market stall. Or you can work the black market. 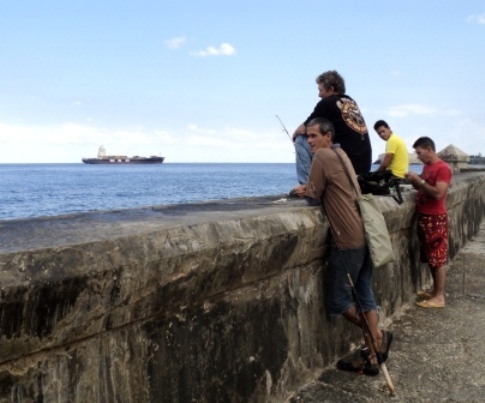 Havana people are adept at survival. If lucky enough to work in a large factory, they steal what they can and sell it on the black market. This is the only way a cake can appear at a birthday party... flour is sometimes for sale in the shops, but is only priced in CUCs. 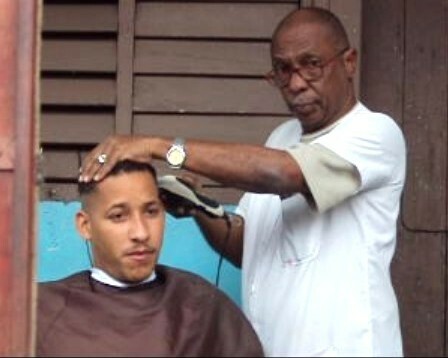 Or you can offer services to fill lighters or cut hair on the street.